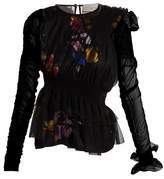 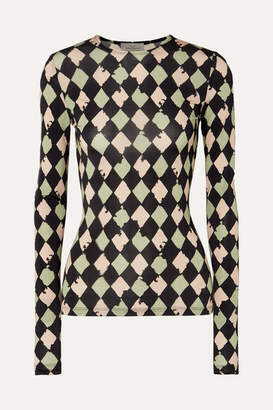 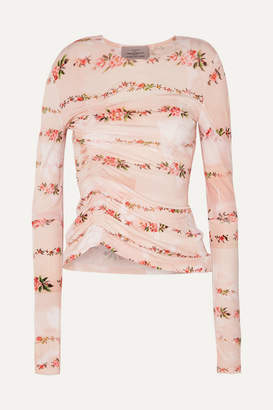 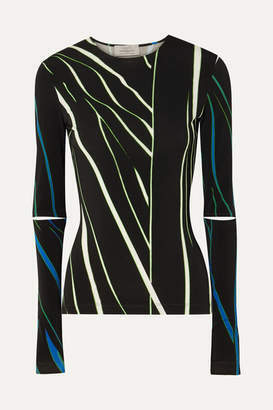 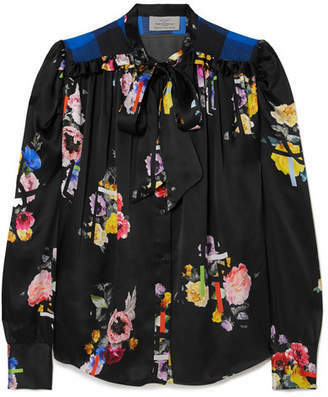 Preen By Thornton Bregazzi - Preen by Thornton Bregazzi's cut-and-paste approach to silhouettes shines through in the smocked and gathered composition of this black tulle Martine blouse. 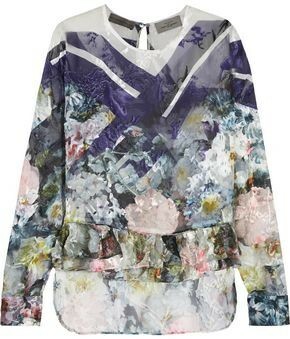 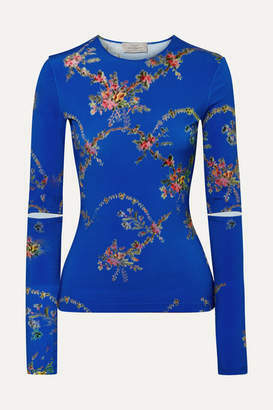 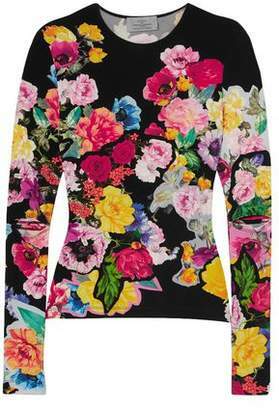 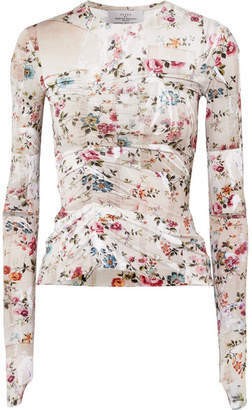 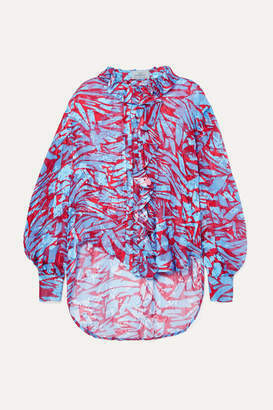 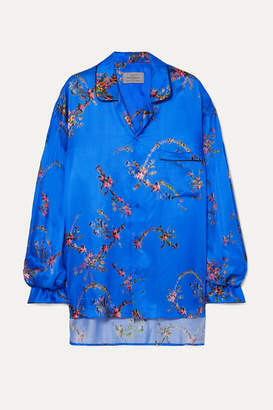 It's crafted with long sleeves that are shirred on one shoulder and down the opposing arm before ending in elasticated ruffle cuffs, and features a contrasting multicoloured floral-print panel across the bodice. 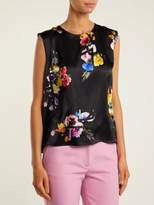 Temper the impact of the pleated peplum hem by styling it with candy-hue tailored trousers.